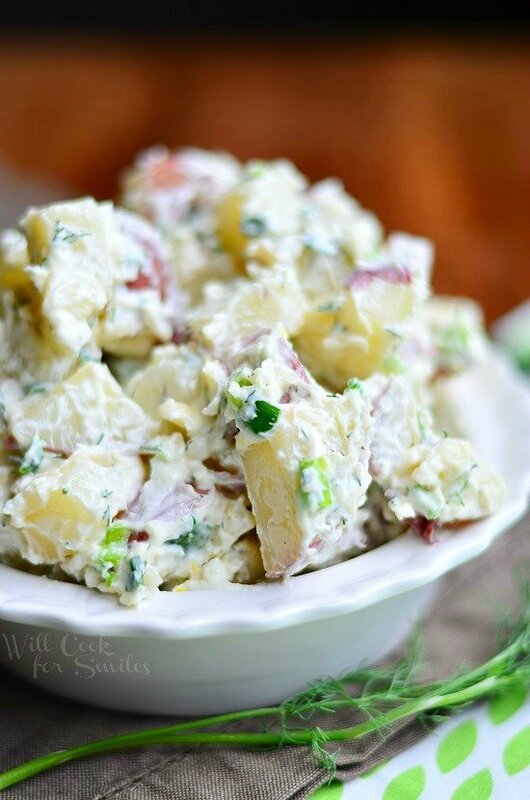 Potato salad is a must at any barbecue gathering and this one is a “must try”! 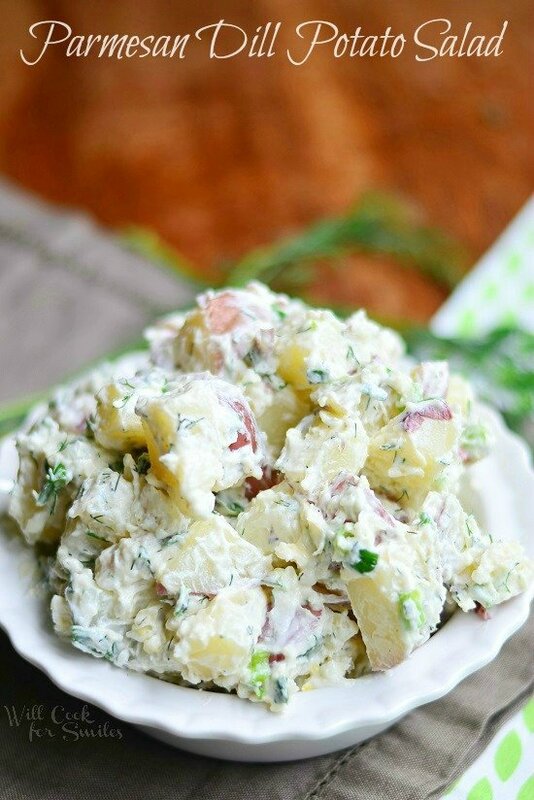 This Parmesan Dill Potato Salad is made with red potatoes, shaved Parmesan cheese, fresh dill weed and a touch of lemon zest. What is better potato salad or pasta salad? I’ve been asking this question for a long time and the preference seems to be tied. People seem to love both the same. I even hit the internet to see which one people search for more. Guess what? It’s just about the same! 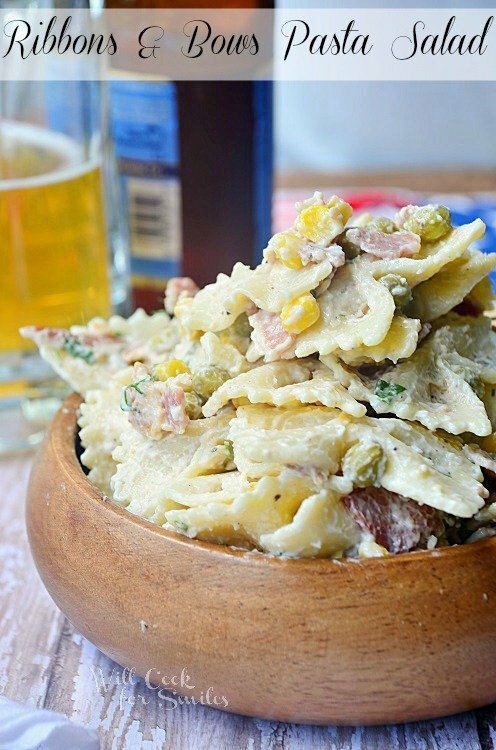 Just as many people look for potato salad recipes as pasta salad recipes. Do you like one more than the other? Personally, I like potatoes much more than pasta and therefore, I prefer potato salad over pasta salad. This one especially! If you are a long time visitor to my site, you may have seem my Loaded Baked Potato Salad. It’s the most requested one of my (any salad) recipes for a potluck or holiday gathering. It’s great, it really is! Although, I would have to give preference to this Parmesan Dill Potato Salad now. Perhaps it’s because I have a slight addiction to dill weed. 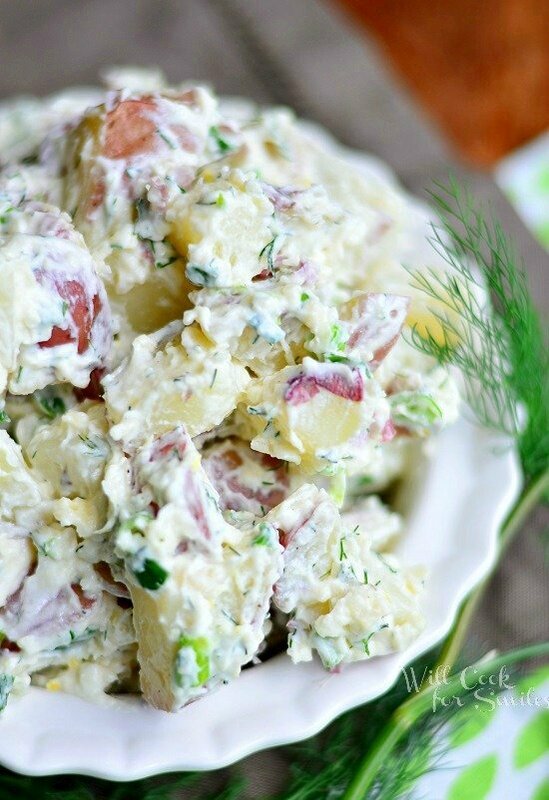 I absolutely love that herb and this potato salad has a strong dill flavor in it. It also has shaved Parmesan cheese, now how awesome is that? For just a little more flavor, I added some lemon zest. Best decision ever! 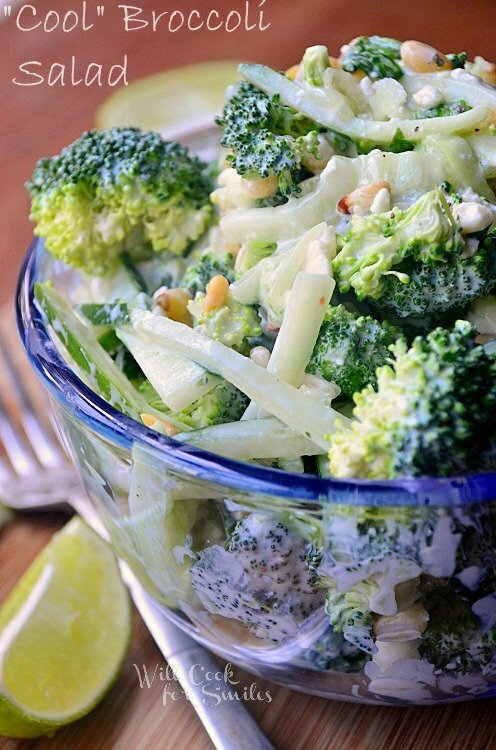 Citrus goes perfectly in this salad…trust me! 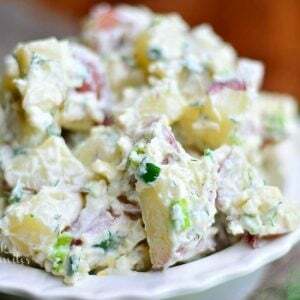 This Parmesan Dill Potato Salad is made with red potatoes, shaved Parmesan cheese, fresh dill weed and a touch of lemon zest. Cook potatoes in salted, boiling water (on medium high heat) until just done but not falling apart and cool them completely before cutting. Cut them in 1/2 inch cubes and add to a large mixing bowl. Add Parmesan cheese, green onion, lemon zest, dill, salt and pepper and gently stir until all evenly mixed. In a separate bowl, mix mayo, Dijon mustard and sour cream until smooth and even. Add mayo mixture to the potato mixture and gently mix until mayo mixture is evenly incorporated throughout the salad. Making this today! No Joke! Looks so good, this is going to be my passing dish! I hope you liked it, Tahny!! Thank you! 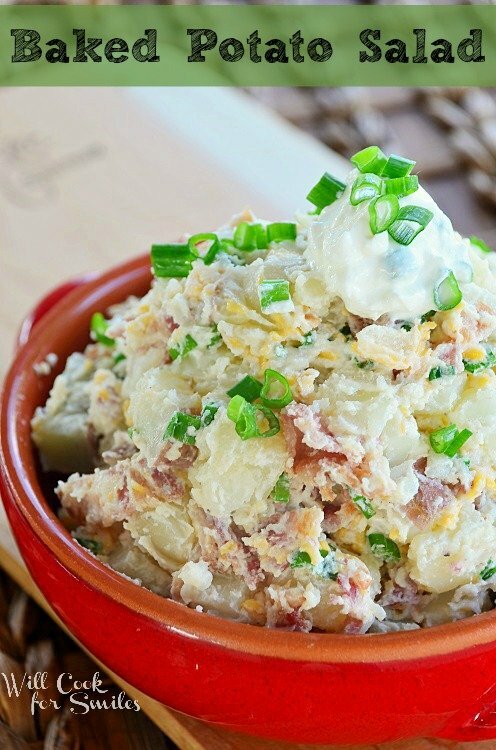 In all seriousness I’don’t know I’ve ever seen such a gorgeous potato salad. Definitely going on the menu! Awww, you are so sweet, Melanie! Thank you! Hope you love it as much as we did! 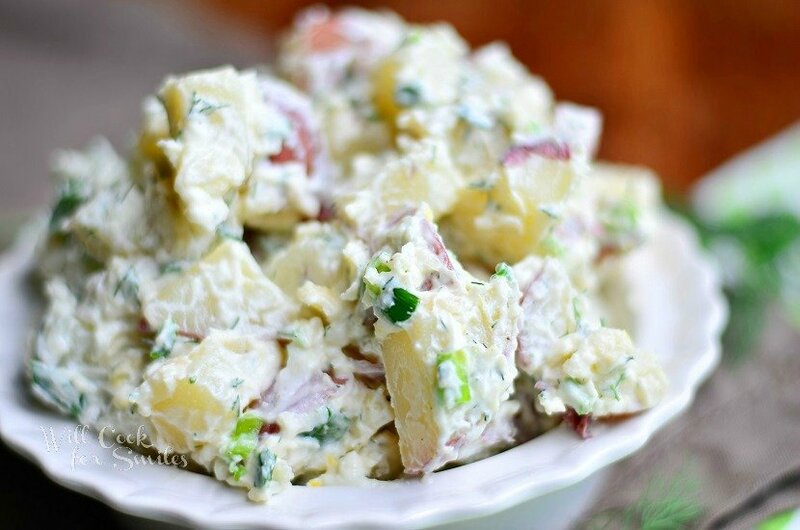 i never thought to add parmesan to potato salad–what a great idea! Give it a try! It will be so good! It truly is! Hope you give it a try! Hello. I made this last night & am having friends taste test it with me today. I subbed out the green onion for 1/2 a baby red onion from my farmer’s market. I think the recipe is super tangy and yummy. I am going to write a review of it on my blog, so come by and check it out in a few days. I’m so happy to hear that! Thank you so much, Ally! Had this with our dinner tonight. It is one of the best potato salads we have ever had! Will be making it again soon! Thank you for posting it!